October 1 marks the opening of the Federal and State Marketplaces for Health Insurance. What does this date mean for you? If you currently have an employer plan, and your employer is continuing your group coverage into 2014, it likely will not have a large impact on your health plan. However, if you are self-employed, or if you are losing your group coverage, you need to get up to speed on how accessing health insurance coverage will change. We will be looking at this topic throughout this month and beyond, providing resources that can help you understand benefit changes, calculate possible premium subsidies, and access coverage. 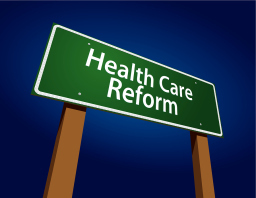 To start, let’s look at the Health Insurance Marketplace. Marketplaces will be in place for every state, with some states, like Michigan, working in conjunction with the Federal Government to create a marketplace for their residents. In the Marketplace, you will be able to complete an application that will tell you if you qualify for subsidies to reduce your monthly premiums. To find out more about the Marketplaces, visit What is the Health Insurance Marketplace? at www.healthcare.gov. For answers to your questions about Michigan health care plans for individuals, contact Greg Clay at 248.628.3604. PreviousPrevious post:From One Second to the NextNextNext post:Blessings in a Backpack – First Week!